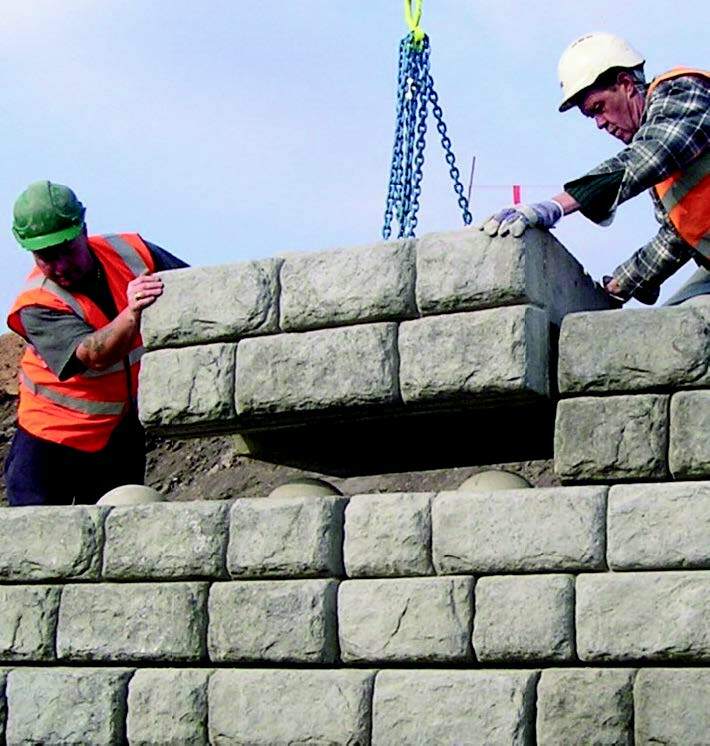 JDP offers a complete range of products for Retaining Walls and Embankments to prevent downslope movement or erosion and provide support for vertical or sloped grade changes. Separation, reinforcement, filtration and protection problems occur wherever there is unstable ground often as a result of construction. The solutions JDP offers include wire gabions and mattresses, Redi-Rock concrete dry walling system, degradable erosion control blankets, non-degradable turf reinforcement mats and geotextile, which can be found in the Road Building section. These all form a solution to the problem of retaining and protecting slopes from erosion in areas such as railway embankments and river banks.